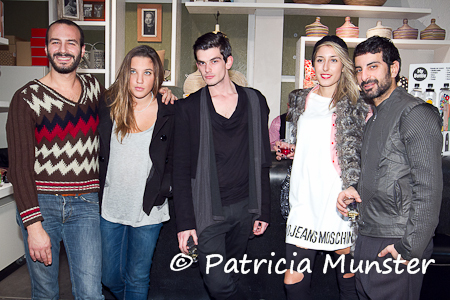 Yesterday evening Ozon Raw Magazine organized as part of 4FASHIONSHAKE IV a soiree at concept store SHOP at Ermou 112a. To see the live shopwindows click here and for the brands click here. 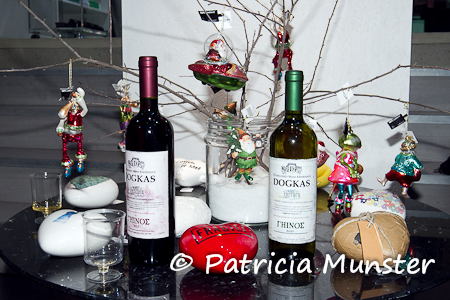 Dogkas wines provided the drinks and the guests had to opportunity to chat and have a closer look at the shop, the clothes and the artworks of the School of Fine Arts (until the 8th of December, for more information click here). 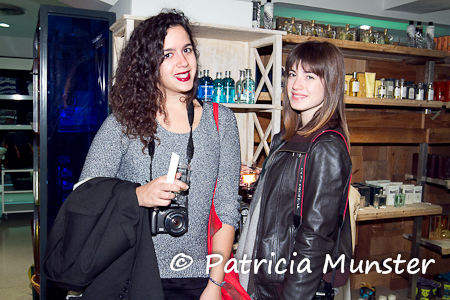 Here some snapshots of the guests. 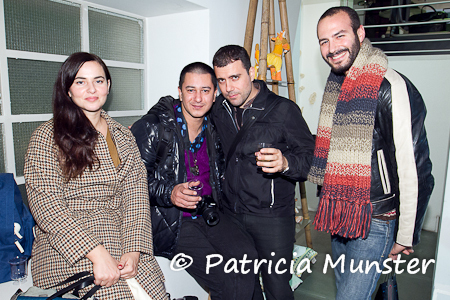 Yorgos of OZON magazine, Eleftheria of Digitaria and Vladimir Karaleev. 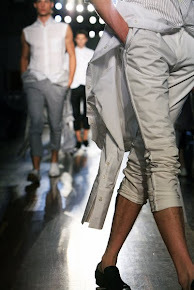 The last two will present there collections at 4Fashionshake IV at Pallas Theater tonight.